To aid building of the Judith Edge and conversion work Oxford Rail/Golden Valley ready to run mode, these views of the preserved Appleby-Frodingham Steel Company number 1 (YEC Works No. 2877) at Scunthorpe Steelworks should prove useful I hope. Janus Details – Handrails. These are fabricated so the horizontal and vertical pieces lie in the same plane, very tedious and awkward to fabricate in model form! Janus Details – Sand boxes. Janus Details – Buffers. 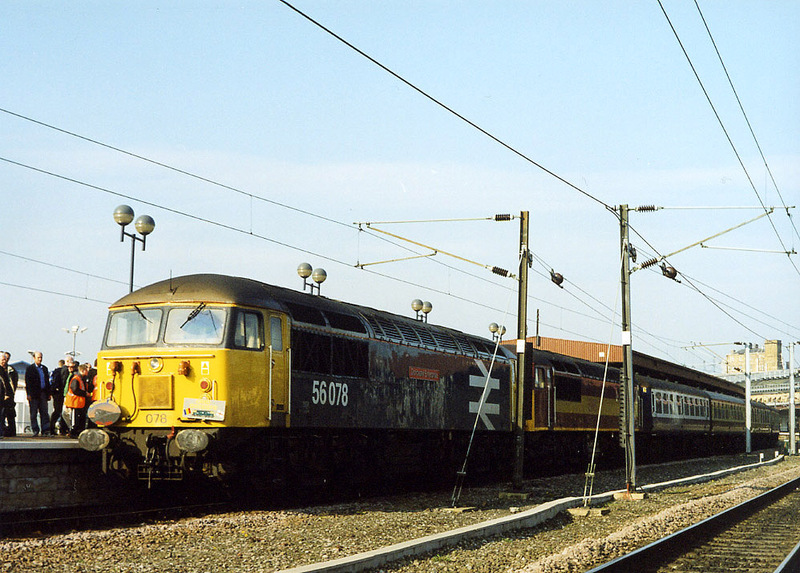 Notice also the two extra drawhooks, for use with safety chains which some wagons featured on Scunthorpe steelworks. Janus Details – Wheels and brake gear – notice also that the coupling rids have roller bearings. Janus Details – Handrails, bonnets and cab. Appleby-Frodingham Steel Company number 1 (YEC Works No. 2877) at Scunthorpe Steelworks. The Golden Valley Hobbies Janus in National Coal Board livery. The locos were rugged and solid and a good number have lasted more than fifty years in service – industrial service in steelworks is hard going too which is real testament to the quality of the original design. An introduction to the type can be found here. The Real Thing – Tata no. 90 stands near the Plate Mill at Scunthorpe Steelworks 24th October 2015. The two ‘faces’ can clearly be seen here. A hundred and two Janus locos were built between 1956 and 1965 (including some narrow gauge variants) and for a long time you would never have expected a a ready to run model of loco like this. I mean, it took long enough for a kit for the type to appear! So, it came as quite a surprise when Golden Valley Hobbies announced their intention to produce a ready to run Janus. The Janus from above. It captures the look of the original very well indeed. This seems to be how the RTR market is heading, increasingly we are seeing all sorts of prototypes which have been small in number. Heljan’s Kestrel and Falcon spring to mind. So it’s not surprising that industrial prototypes have been appearing in recent time – Hornby have entered the industrial market with their Sentinel diesels and their Peckett saddle tank and this has helped push the RTR market into these more niche areas. So a ready made model of a Janus isn’t as surprising as it might have been, especially given the real thing’s longevity. And the result is very good – first glance it captures the look of the prototype very well indeed. The proportions look spot on – one thing which struck me straight away was how delicate the cab roof appears. Too often manufacturers make something like this part appear thick and chunky but here, none of it. This sets the tone for the whole model – there are some really nice touches. The standard of the tooling is very good – the bonnets and cabs have a lovely delicacy about them. I do wonder if the panels on top of the bonnets stand too proud – they look thicker on the model than perhaps they should be. It runs well too – after about half an hour of gentle running the loco settled the loco down. My little boy undertook on these duties on ‘Grandpa’s layout’ – fifteen minutes one way, then fifteen minutes in the opposite direction for about an hour or so worked wonders and improved things. It’s certainly quieter now. I’m very impressed with the cab interior – it strikes a great balance between form and function. It manages to cover the mechanism without being obvious and has a enough detail to satisfy the eye without drawing too much attention. The glazing does detract somewhat, but this is true of many ready to run models – although, the windows are not that bad, replacing them with hand cut panes would really lift the model as well as really compliment the finesse of the cab itself. The handrails are a major feature of the Janus locos – the cabs don’t have conventional side access, instead there is a door in the front of the cab, one either end. This was a typical arrangement for Yorkshire Engine Company – as such the Janus gained very substantial handrails, all round. The model replicates these with plastic mouldings – they look fine, maybe a little over scale though. They do capture the appearance of the real thing quite well though. My one reservation these fair with handling – from the running in sessions I’ve noticed they have come adrift in places. The easiest thing to say here is that a child has been handling it, but this is a child used to handling kit built locos and other models, so that’s nothing to worry about. But the handrails have deformed a little bit. From a distance they look fine but for exhibition use, will these stand up to handling? A close up of the steps on the the preserved Appleby-Frodingham Steel Company number 1 (YEC Works No. 2877) – the cut out and small handrail which is present on the Golden Valley is not present on the Scunthorpe locomotives. There are a number of small detail differences when you begin to look more closely. The buffers are solid and I have seen a few comments online about this – quite why the vast majority of buyer need sprung buffers at all is a mystery to me. It just seems to be one of those things people think models should have but they’re not sure why… Certainly solid buffers are better than misshapen ones. Bachmann’s sprung oval buffers as fitted to things like the Class 37 and their Standard 4MT, 2-6-4T are horrible. “But they’re sprung!” one person told me. They are, but they look terrible. Here, there are some decent looking buffers which happen not to be sprung. They’re not right for the Scunthorpe locos, these have quite distinctive oval buffers (a source for which I’ve still not found! ), but this isn’t a BSC loco… The one issue in the bufferbeam area is that there’s no provision to cover or conceal the cut out for the coupling – it’s not a massive issue but I wonder why the slot couldn’t have been smaller. There’s no needs for such a large opening. The wheels and brake gear don’t look too bad at all. The wheels are nicely presented but the brake gear is a little under nourished, but at ‘normal viewing distances’ looks fine. The coupling rods, however, are rather on the slim side. I rather like the wheels – they’re a good representation of the prototype, even the axle ends are nicely and subtly replicated. The coupling rods on the real locos are big, heavy, chunky things and the model’s are rather thin. The nature of metal, one piece rods makes anything other than this difficult – I have, somewhere, a Roco model of a European 0-6-0 diesel shunter. It must be twenty years old, but from an era when European RTR was leagues ahead of British items. Interestingly the coupling rods on this were moulded plastic, a tough grey plastic which gave a nice, prototypical appearance. It would be interesting to see how this approach could be applied to British locos. Similarly the brake gear is a little undernourished but are quite an accurate shape and proportion. Is it really such an issue though? Well, compare the real thing, below. Wheels and brake gear – notice also that the coupling rids have roller bearings. This view allows for a good comparison with the model. The real brake gear is surprisingly prominent – it’s often more obvious than one might expect because of how filthy these locos get round steelworks. The photo also shows how bulky the coupling rods are, especially around the bosses and the roller bearings. I do wonder if I’m judging that little bit too harshly – it is a mass produced model after all. But for me it is these small details which really do bring models to life. I am quite happy to accept that for others these are ‘nice to have’ details and some people simply don’t care. Leaves something for those who see an RTR model as a starting point, rather than merely a purchase, with a very good starting point. The real locos display all sorts of variations which will also allow modellers to personalise locos and use the model as a basis for particular prototypes – for example at Scunthorpe there are variations in heat shields, coupling/bufferbeam arrangements, small details and we’ve even spotted that at least one of the Scunthorpe locomotives had a cab with a different profile which much less pronounced eaves. There’s plenty left for us to look at beyond opening the box! I’ve mentioned before that the Judith Edge kit can be bought for £50, less than half the cost of the RTR model – even with wheels, motor and gear box added to the cost, it is still potentially cheaper than the ready made version. And given that I need to replace the wheels so it will run on P4 track work, then kit building is cheaper. Using the RTR as a base will save a lot of time I hope, time which can be spent building other items hopefully. Personally I think this model is a highly significant development in the world of ready to run – to have an accurate model of an industrial loco available off the shelf is quite something. And it’s very good too overall! The next job is to work out how best to re-wheel and detail it to match one of the Scunthorpe locomotives. Crosby Mines Signal Box. Date unknown and I don’t know who the photographer is sadly. Thomas building his first wagon. We may have another contributor to the project soon! My little boy, Thomas (well not so little now – he’s recently turned eight), and wants to have his own layout now – not the typical roundy-roundy that we might (wrongly?) expect a child to want but a shunting layout much like Paul Marshall-Potter’s Shelife – he had great fun operating this at Warley a couple of years ago! And 3 links. He wants 3 link couplings! What have I created?! To further his own skills, and he’s helped me with little bits and pieces but this is the first thing we’ve done where this is very much ‘his’ rather than him helping someone else. 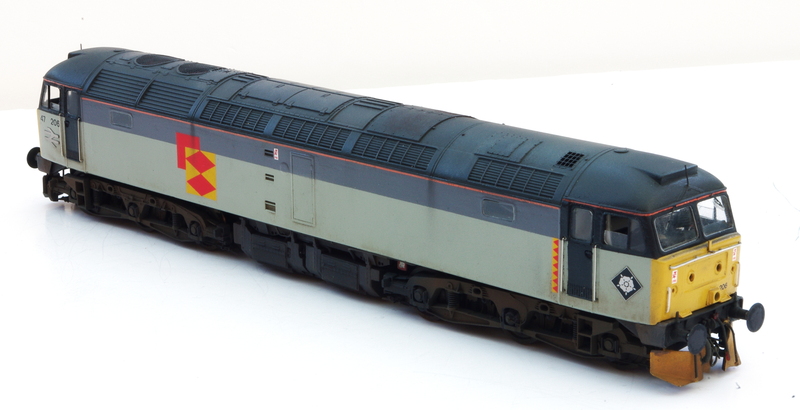 A Dapol (nee Airfix) 16t mineral wagon. And he has done really well – the completed underframe is 95% his own work. The only bits which aren’t are a couple of bits where a third hand came in handy to hold the odd bit or where I showed him how to use the tools properly and safely. The result is very good indeed, nice and square and free running – once the body’s on I’m sure it’ll make a nice addition to his fleet. The completed underframe – buffers and couplings to follow. James and I made the trip to Derbyshire for DEFine’s Modellers Day this weekend. Splott – industrial modelling to a very high standard. We were really taken by this. It’s not like a normal exhibition, it’s mostly demonstrations with a small number of layouts which gives a chance to chat in a relaxed and friendly environment. And I talk a lot anyway, so it seems an ideal day out for me! There are some layouts at shows which get plenty of attention, but it takes a lot for a layout to get a lot of attention when only half of it is displayed and with only a couple of wagons on it. But Splott was just this – we were really taken by it. Steel workings in the Sectorisation period is very much up our street anyway, but when the modelling is this good, it would be hard for anyone not to be engrossed in exploring the layout. It really reminded me of parts of Scunthorpe too – the buildings are superb and really capture the feeling of this sort of location. I can’t wait to see it in its full form! The venue itself was a small village hall which made for a nice, intimate atmosphere. Unlike many village halls, it wasn’t cold or draughty, despite the horrible, murky weather outside. And the sandwiches were good too! James S helps fund Shawplan’s next skiing trip! The variety of demonstrations was excellent – I spent most of the day talking to a wide variety of people. All aspects were covered from track to wagons, scenery to coaching stock as well as Ian Penberth from PenBits demonstrating his superb sprung bogies. Paul Gittins’ lovely 08 built from a Lima body and Crownline chassis – a similar approach to one of my planned 08s. I was particularity taken by Paul Gittins’ display of his diesel modelling in P4. Paul’s Enigma Engineering is well known on the exhibition circuit – a small shunting layout which visitors can operate – but I’d not scene his mainline stock before. The 08 was based around a Lima body with a Crownline chassis (this chassis will be the basis for one of my locos) and despite the issues of the original Lima model, it looked superb! Oh, and it ran beautifully too. Similarly his class 22 betrayed its basic origins, using a Hornby class 21/29 body which had been shortened, fitted with new Plastikard sides and roof overlays and running on a much modified Roco chassis. 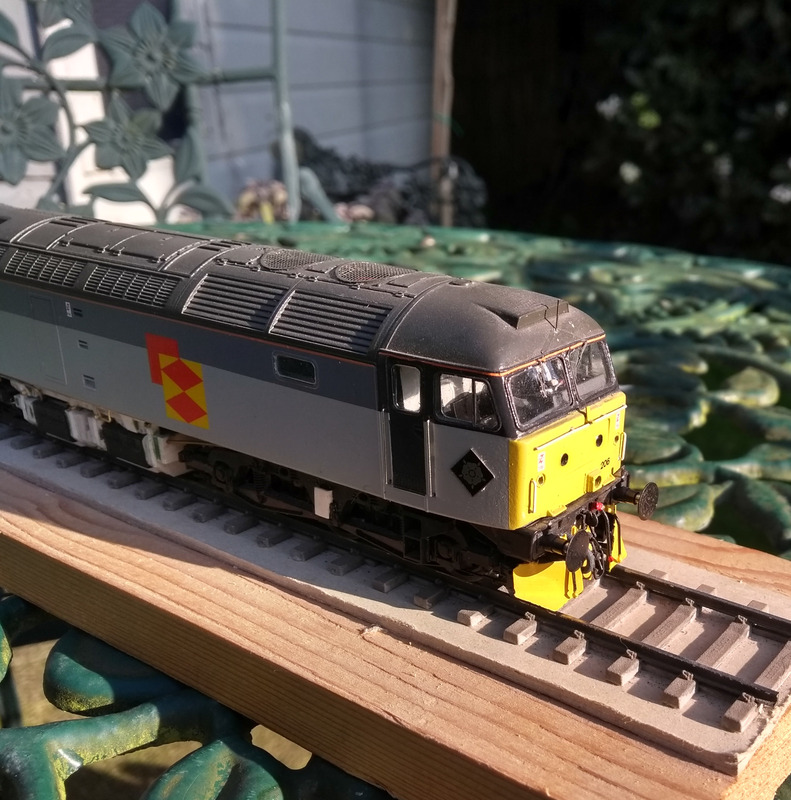 A superb example of diesel modelling! 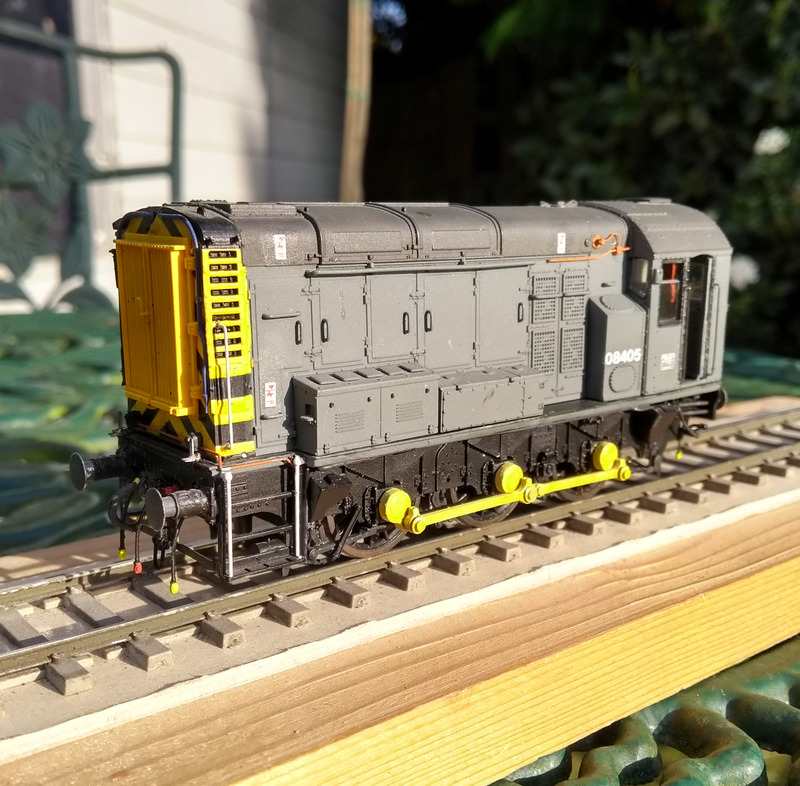 Paul Gittins’ absolutely lovely Class 22, converted from a Hornby 21/29 body with Plastikard details and running on a much modified Roco chassis. Superb. We had a lovely time and spoke to plenty of equally lovely and interesting people! We’ll be going back next year! A close up of Splott. 20104 – a Bachmann based class 20 in a tatty, faded condition which seemed so typical of Indian summer of the type when they worked in North Lincolnshire. An event worth considering if you’re free – all being well we shall be visiting! This has absolutely nothing to do with modelling the last years of British Rail in North Lincolnshire but it’s worth a look. Channel 4’s The Biggest Little Railway in the World – building a seventy mile model railway through the Scottish Highlands. Who thought that laying over seventy miles of model track was a good idea? Secondly, it’s good fun to watch! Channel 4’s The Biggest Little Railway in the World seeks to build a ‘model railway’ from Fort William to Inverness, the route which the proposed Glasgow & North Western Railway would have taken had it been built. I suppose it’s not strictly a model railway as such, in the sense that they are simply laying the track rather than anything else along or around it. Regardless, it’s quite an ambitious project – the track is quite different from we’re used to but makes a lot of sense. Interesting if you like engineering, railways and model railways.